You don’t need to permanently uproot your life to embrace the countryside. 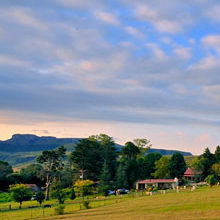 We’ve got 6 great travel offers for farm stays, that’ll give you a taste of the simple life. At the foot of the Middagkrans mountain in Franschhoek, an emerald-green expanse embraces visitors for an unforgettable weekend. The six cottages are furnished to the nines, but perfect for partners are the Oak and Pump House Cottages. Oak, cosily decorated in warm tiles and light wood, was originally the farm’s stable block and is now a charmingly quaint house. The Pump House is a spacious apartment with a private terrace, an ideal space from which to watch the sun set over the dam. No matter your choice, you’re guaranteed exquisite views of the lush gardens, which are overflowing with beauty thanks to the region’s winter rain. The welcoming bottles of Bo La Motte wine in your room are just to whet your appetite – no doubt you’ll be booking a full tasting right after your very first sip. Be sure to pop down to the cellars to say hello to the winemakers, who will gladly take you through their everyday duties. 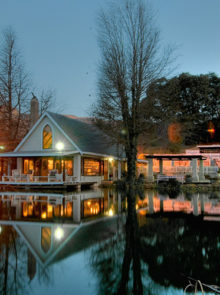 After a few glasses, an amble to one of the gourmet restaurants down the road – just past the Huguenot Monument – is definitely in order, and it’s here where you’ll dig into some of the area’s culinary delights. In citrus season, there’s no better place to be than this working farm. The zest-scented air will be your initial greeting, and after arriving at this lodging and flopping down on a queen-sized bed, you’ll feel totally at home. 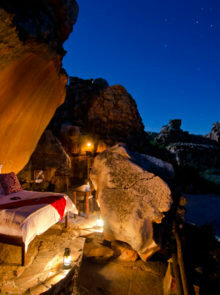 Each room is individually decorated, but equally divine – choose from quaint, streamlined, or Afro-inspired. Delight in the clean country air and admire the blooms in the lovely gardens before breakfast, which will be a sumptuous freshly baked, traditionally cooked affair. Hopefield’s dinner menu changes daily, so a new three-course culinary triumph – made with the finest produce – awaits you every night. 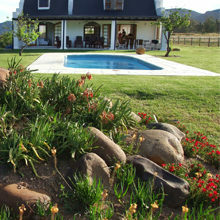 After sampling the fruits of the farm’s labour at breakfast, you’ll want to meander through the orchards. But save your energy – there are some unmissable activities waiting for you. The Addo Elephant National Park is a 15-minute drive away, and here you can enjoy a game drive, and for a close encounter with cheetahs, head to the Daniell Cheetah Project, 40km away, to interact with these majestic cats. Don’t forget a bag of citrus fruit for the ride home! 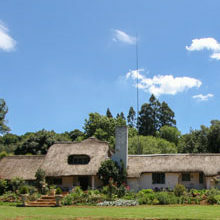 Melmoth is one of SA’s agricultural hubs, best known for timber. But, you’ll forever associate the town with the pride of Avocado Cottage: its avos and sugar cane. Whether you’re enjoying your stay with friends or family, everyone will find pleasure in the height of comfort of this eight-sleeper cottage overlooking the dam. 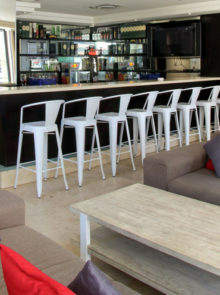 The open-plan design leaves breathing room for all to pass the time however they wish – some may revel in a morning reading session by the toasty fireplace, others will take advantage of the in-room flat-screen TV and DVD selection, while you might fancy a quiet cuppa on the enormous patio. 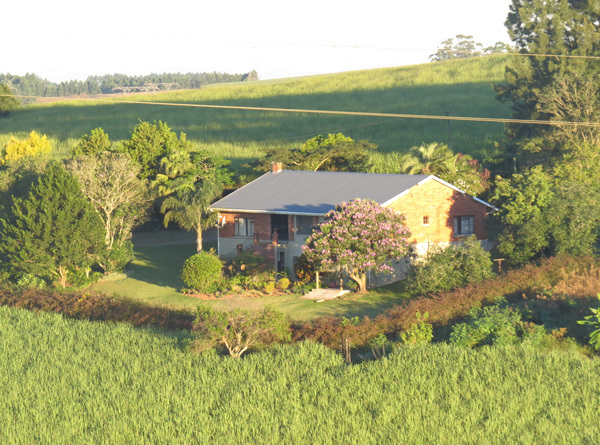 Even after a slow morning, it won’t be hard to assemble the group for a walking tour around the marvellous avo orchards and sugar-cane fields. Not only will you learn about the farm’s history and its processing, you’ll also be treated to tantalising produce tastings. After savouring a farm-ripened avo, you’ll likely get the urge to plant a tree of your own back home! 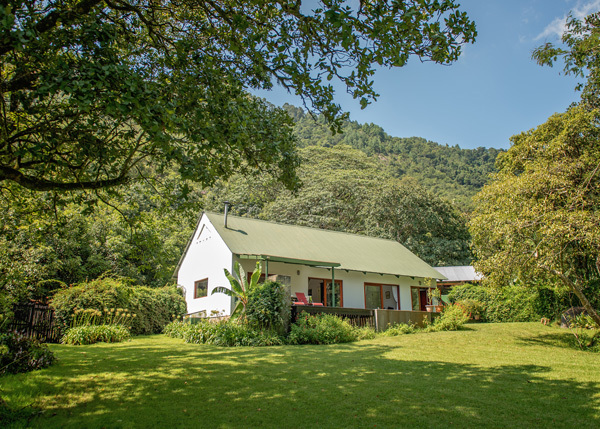 Pass the winding Politsirivier in Tzaneen, roll down the car windows and allow the aromas of parsley, sage and thyme to welcome you, even before you’ve reached this family cottage on Tupelo Honey Farm. The cottage is detached, but not too isolated from the farm, so you’re free to be as involved in the goings-on as you’d like. If it weren’t for the gorgeous garden and list of irresistible activities, you’d probably never leave the snug comfort of your queen-sized bed or fireplace-adjacent couch. 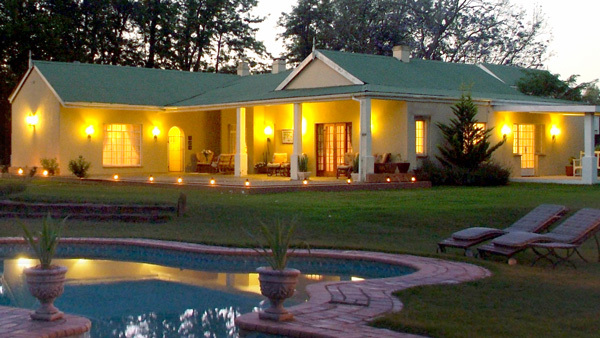 If the younger ones are itching for a chilly dip in the pool, tempt them instead with a picnic-style braai dinner, sitting on a pile of blankets next to the babbling creek – a warmer option for all. On Tupelo Honey Farm, the endless greenery of the land’s avos, herbs and macadamia trees stretches as far into the horizon as the eye can see. This is the perfect opportunity to get some expert tips on how to keep your own garden thriving, so ask your hosts for a guided tour down the river overlooking the orchards. Spend the rest of the day mountain biking, trout fishing in the river, or sipping tea out on the stoep while trying to spot elusive samango monkeys.